Do not throw away your shot! 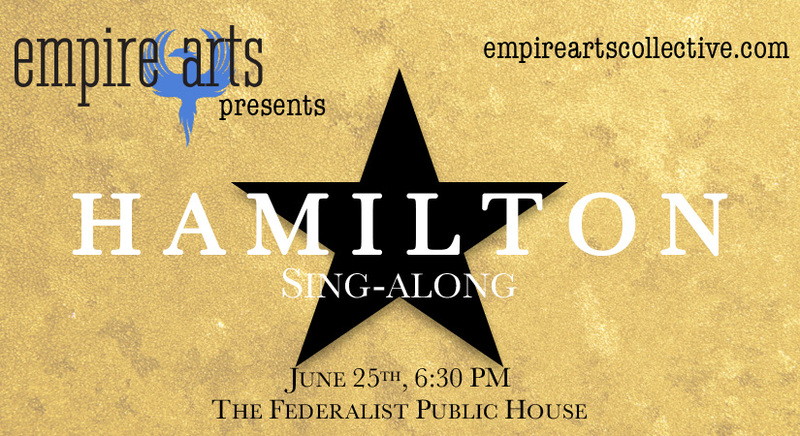 Join us as we eat, drink, sing, and passionately smash every expectation at our annual Sing-along to the Broadway musical Hamilton. ADMISSION: $10 - all ages welcome! Available online or at the door. All proceeds benefit Empire Arts Collective, a nonprofit performing arts incubator. Sign up quick: songs go fast! Librettos will be available, but it's a good idea to know the words to your song as much as possible! Dressing in your best Hamilton finery is highly encouraged! Come join us and celebrate how lucky we are to be alive right now!